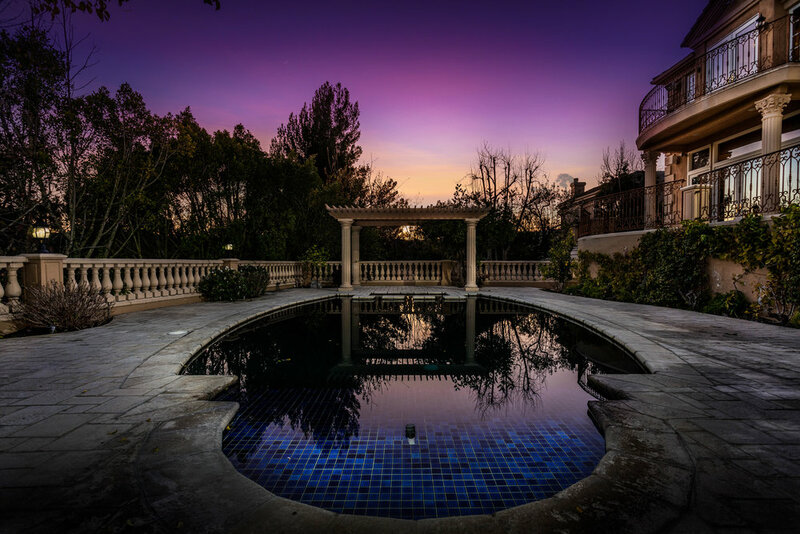 Custom-built Mediterranean manor on a cul-de-sac in the 24-hour guard gated community of Bel Air Crest. Spacious floor plan w/a 2- story foyer & grand chandelier. 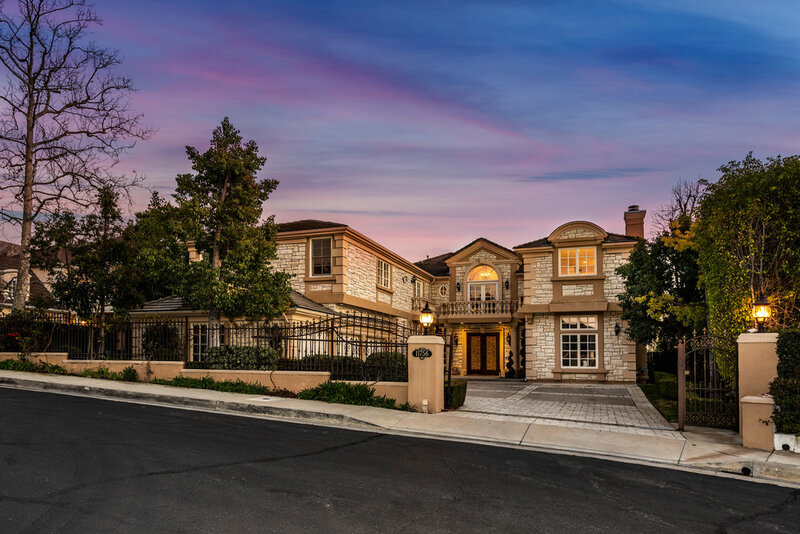 Formal dining & living rooms, large family room w/rich wood beamed ceilings & a step down wet bar. Gourmet kitchen w/Viking appliances. chef's desk & breakfast table. Home office, maids & large laundry room + 3 car garage. Grand master suite w/living room & fireplace, walk-in closets w/built-ins & dual bathrooms w/steam showers & spa tub w/expansive vista views. 4 large bedrooms + office up. 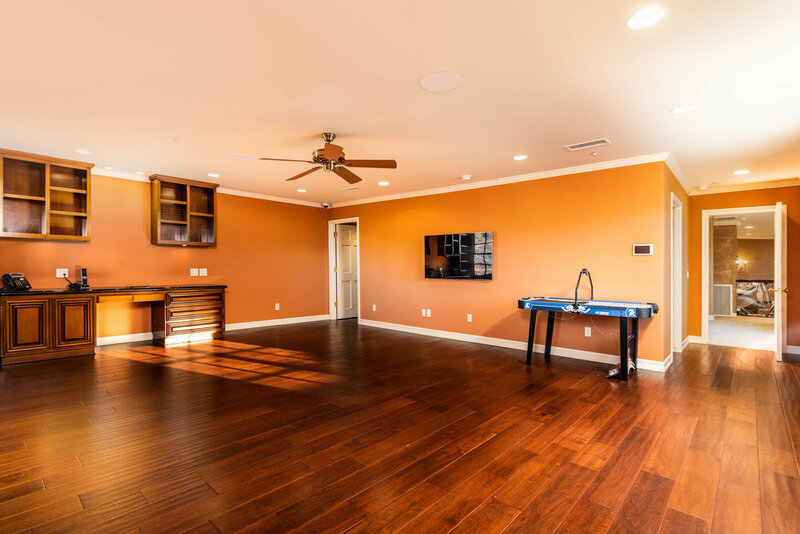 The lower level features a home theater w/stage, gym w/indoor/outdoor showers & a separate guest flat w/kitchenette & private outdoor patio w/garden & fireplace. Backyard w/pergola, pool, spa & water fountain. 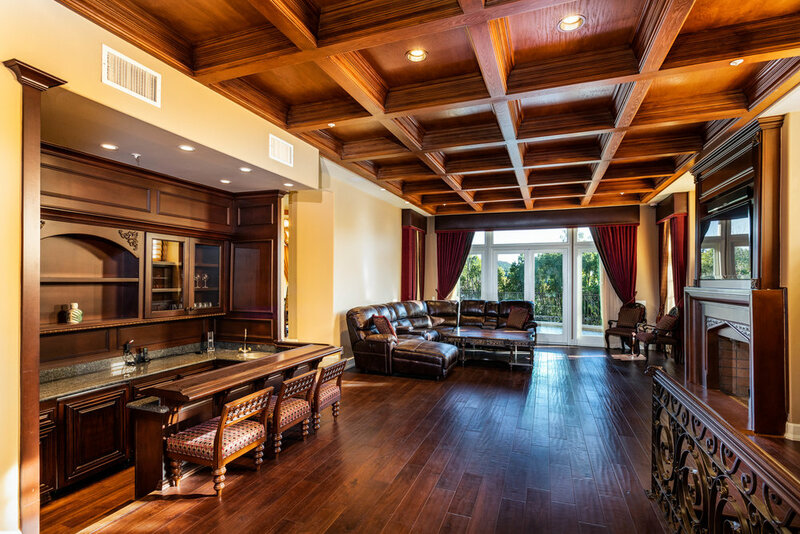 Fully automated home w/Crestron technology & lots of custom upgraded finishes. 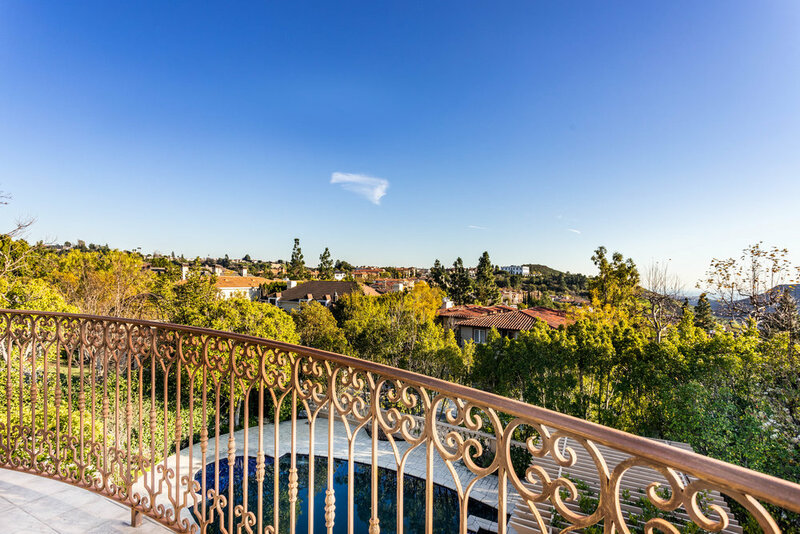 Bel-Air Crest amenities include clubhouse w/banquet facility, gym, basketball & tennis courts, pitch & putt golf facilities, kids playground & dog park.